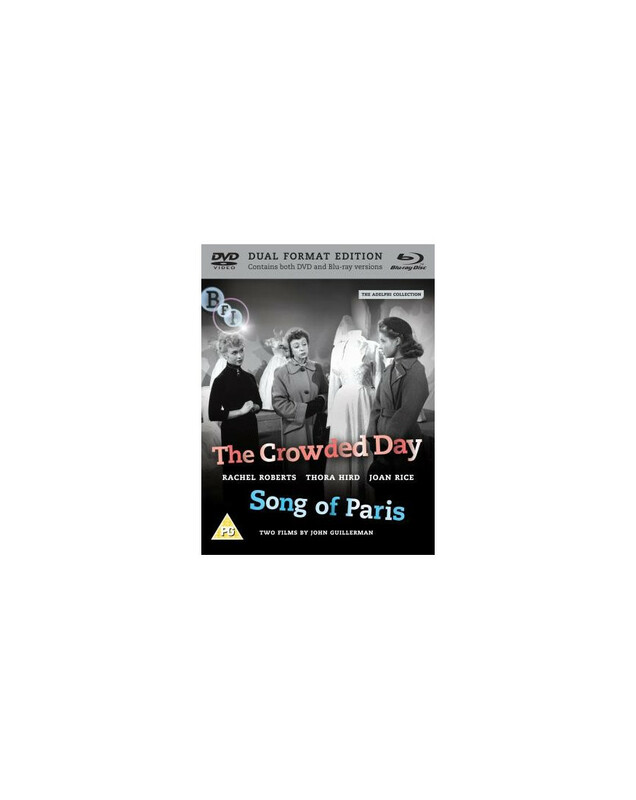 This release includes two of John Guillermin's early films.The Crowded Day(1954) and Song Of Paris(1952). THE CROWDED DAY (1954) features a huge cast playing the various persons connected with a department store sale during the Christmas season. Special attention is given five members of the store's sales staff, each of whose private lives comprises a story wavering twixt laughter and tears. Joan Rice, John Gregson, Freda Jackson, Rachel Roberts, Thora Hird and Edward Chapman are among the familiar British faces at the bargain counter. SONG OF PARIS stars Dennis Price as stomach-pill sales representative Matthew Ibbetson, who goes to Paris to close a business deal. While taking in the sights, Ibbetson inaugurates a casual affair with French chanteuse Clementine (Anne Vernon).